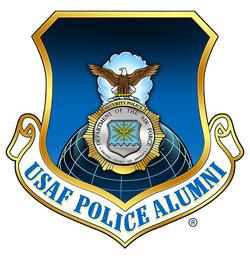 For the purpose of the USAF Police Alumni Association, "USAF Police" means an individual involved in crime control or reduction, combat operations in defense of or in support of valid USAF operations and who is directly assigned to an active duty, reserve or national guard unit as an Air Police, Security Police or Security Forces member of the United States Air Force. "Line of duty" means any action that an officer is obligated or authorized by law, rule, regulation or written condition of employment service to perform, or for which the officer is compensated by the public agency he or she serves. The term "killed in the line of duty" means a USAF police officer has died as a direct and proximate result of a personal injury sustained in the line of duty. This includes victim law enforcement officers who, while in an off-duty capacity, act in response to a law violation. It also includes victim law enforcement officers who, while in an off-duty capacity, are en route to or from a specific emergency or responding to a particular request for assistance; or the officer is, as required or authorized by law or condition of employment, driving his or her employer's vehicle to or from work; or when the officer is, as required by law or condition of employment, driving his or her own personal vehicle at work and is killed while en route to or from work. Combat Related Deaths will be included on the Memorial for all USAF Police personnel who are properly deployed or assigned to any forward operating location. a specific stressful response to a violation of law or an emergency situation causing an officer's death immediately or within 24 hours of violation or emergency situation, or causing his or her death during a continuous period of hospitalization immediately following the specific response to the specific stressful response to the violation of law or emergency situation. a situation that requires either a high speed response or pursuit on foot or in a vehicle. Also not included under this definition are deaths attributed to voluntary alcohol or controlled substance abuse, deaths caused by the intentional misconduct of the officer, deaths caused by the officer's intention to bring about his or her own death and deaths attributed to an officer performing his or her duty in a grossly negligent manner at time of death. Each death caused by disease shall added to our Memorial if they have been added by the National Law Enforcement Officers Memorial Fund. Officers on the National Law Enforcement Officers Memorial who have died as a result of disease are reviewed by the Armed Forces Institute of Pathology or other medical personnel with similar skill and expertise. If it is determined that the officer died as a result of infectious disease contracted while performing official duties, or by exposure to hazardous materials or conditions while performing official duties, that officer is eligible for inclusion on the Memorial. An officer shall be included if a department states that the officer died in the line of duty and there is no information to believe otherwise. The Alumni Association board of directors shall exhaust all possible means available to verify an officer's eligibility status, and the correct spelling of the name. Efforts will include having the name verified by the law enforcement agency of record and a surviving family member.